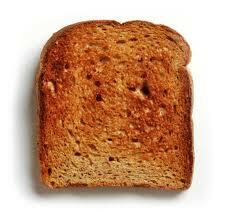 James' Jetsam - Your Cruise Expert: Do you like your toast done on one side? Do you like your toast done on one side? This may sound like a really random question but it was bugging me last night. I was listening to some old Sting songs when An Englishman in New York came on. For anyone that doesn't know it, it's about a quintessential Englishman complaining about how things are different in New York. It ﻿caught my attention because I remember on my first ever Cunard cruise ,(click here for a review), this was how they served my toast at breakfast, only toasted on the one side. I remember thinking at the time it was really strange but what with it being my first ever cruise, (as well as my first Cunard cruise), I just assumed this was how all toast was served on a cruise ship. It wasn't until I heard those lyrics last night that I thought there might be something more behind it. A quick search for toast related questions on Google revealed the fact that for some reason the rest of the globe thinks all Englishman only toast their bread on one side. This came as news to me. I've been toasting my bread on both sides for years! I'd never even heard of this. A little more research revealed that this was the traditional 'British' way of serving toast before the advent of toasters which obviously toast the bread on both sides. Apparently some 'high end' places, (like Cunard cruise ships for example), still do this but I'll admit it's a new one on me. So what do you think? Are you a quintessential Englishman? Do you toast you're bread on just one side? I tried it this morning and actually quite liked it but I'm still left with one question. "Which side are you meant to butter?" Owling - What is it? What's a Thomson cruise like? When's the best time to to do a Fjord cruise? The Queen Victoria - Three of a kind now!